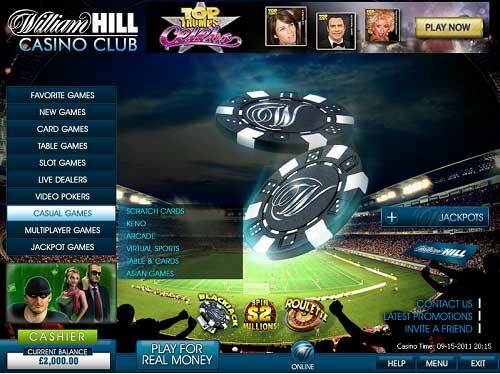 William Hill Casino is one of the oldest and most trusted names in online gambling. They are known for fair games, good customer support, and solid promotions. They offer players many different deposit bonus options including a 100% up to £300 initial deposit bonus. Players can also receive other prizes including cashback through their William Hill Points program. The casino itself is simple and easy to navigate. Players can pick and choose from a wide variety of games including Slots, Blackjack, Roulette, Video Poker, and Craps. There are many different variations of these games including dozens of slots and video poker options. Player security is a big concern for those running William Hill Casino. They take player’s personal and banking data seriously, protecting it over an SSL server. Players are asked to provide certain personal information in order to deposit and/or withdrawal from William Hill. Be sure to include a valid address and phone number when first creating your account. 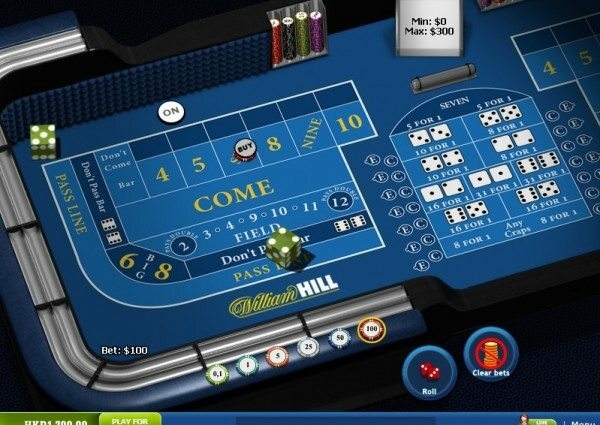 Overall, players should find their experience at William Hill Casino to be a good one. Make sure you take full advantage of their deposit and reload bonuses. This free money will help any and all players build their bankrolls and play higher stakes! As part of their associated with PlayTech Gaming, William Hill is able to use some of the best software in the online gambling business. You can play at Will Hill directly from your web browser with no download required! However, there is also a download client that installs in just a matter of minutes. Players can choose from different languages when installing the software. The Lobby itself is simple and presents players with just a few options to get going. 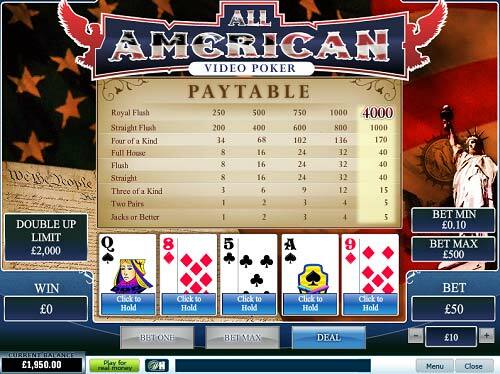 Players can navigate between games like Video Poker, Slots, and Blackjack in just seconds. The games themselves are much like one would find in a real Las Vegas casino! In fact, William Hill offers more games than you could find by leaving their house. From the comfort of your own home you can participate in 100s of games. Gameplay is a breeze at William Hill. You can re-bet your last amount, switch stakes in just seconds, and visit the help screen to clarify game rules and payouts. 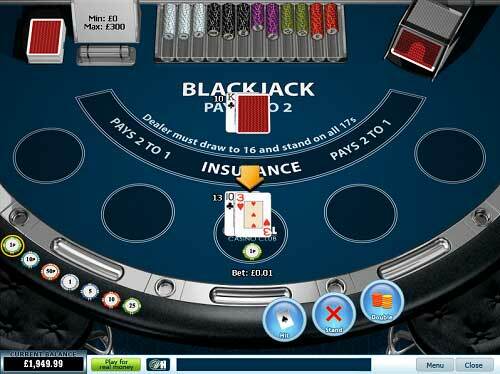 Overall, players will be more than pleased with the software at William Hill Casino. Like many other online casinos, William Hill offers a variety of games not typically seen in your local gambling hall. Not only do they host more than 50 different Slots games, they also have more than a dozen Video Poker variants, and a handful of 21 games. Players can participate in games such as Double Bonus Poker, Deuces Wild, and Jacks or Better Video Poker. They can also try their hand at Bacarrat, Blackjack Switch, and other 21 variations. Like other casinos, the biggest variety of games comes from the Slot machines. Slots are great to play because they clear the William Hill deposit bonus the fastest. Players will only have to wager their deposit and bonus 30 times over playing slots, while they would have wager 150 times playing blackjack and 600x on video poker. 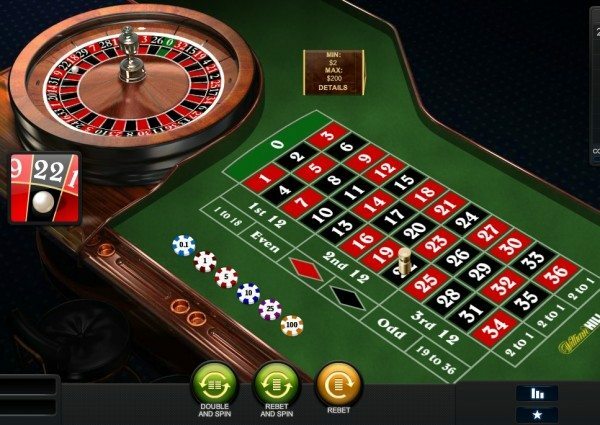 There are different themes and styles of slot games including jackpot games. 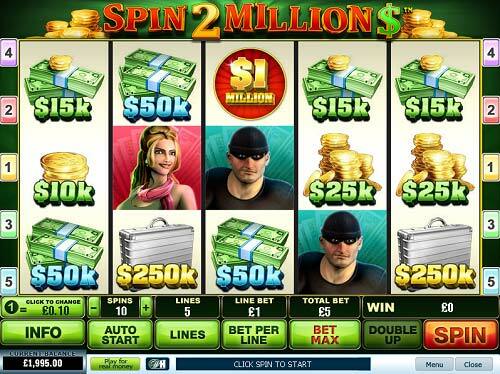 Here, players can win big sums just by participating like they would in any other game. First of all, each and every transaction at William Hill is safe and secure. They take great pride in player safety/security and use encrypted servers to protect personal banking information. Players wanting to play for real money will need to deposit after signing up. There are many different options including Visa, MasterCard, Diners Club, PayPal, Moneybookers, NETeller, Click2Pay, and more. Getting your hard-earned money off of William Hill is just as easy. Make sure you have completed all the stipulations of your deposit bonus beforehand though, as breaking these rules can cost you a lot of money. To cash out, just visit the cashier in the Lobby and choose from one of many available methods. E-Wallets like Moneybookers or NETeller are great choices as they offer convenience and speed to those using them. Most of these options will clear your withdrawal within a week, taking your funds from William Hill to your bank account during that time. William Hill does a great job of taking care of new players and rewarding their loyal customers. There are many different deposit bonus options as well as monthly reloads. The standard first deposit bonus is 100% up to £300. Players do not need to enter any bonus codes; William Hill will automatically place pending bonus dollars in your account once you have deposited funds. In order to clear your William Hill Casino bonus you will have to wager the deposit and bonus 30 times. For example, a player depositing £300, and thus receiving a £300 bonus, will need to wager £18,000 in the casino to clear their bonus. However, the 30x only applies to Slots and Scratch Cards. Those wanting to clear the bonus by playing games like blackjack and/or video poker will have to wager their bonus+deposit an increased amount. Consult the wagering contributions chart on William Hill’s site to learn how much action you’ll have to place on the game(s) of your choice. Even after you fulfill these wagering requirements, you still cannot withdraw the bonus amount itself because it is non-cashable. However, you will be able to place a withdrawal request for any winnings you should happen to have accumulated. Players only have 7 days to clear the bonus and must do so before withdrawing any winnings. Their loyalty program works off of comp points. Here, players will earn one comp point for every £10 he/she wagers in the William Hill casino. Depending on how much one wagers, they will move up and down the William Hill Casino VIP ladder. At random times the casino will have Double Points times, handing players twice as many comp points for wagering the same amounts. Players can then turn these comp points into cashback and other rewards. Always remember to read the Terms and Conditions on certain promotions before trying them out.